I stopped liking Photobucket when the hotlinked images were replaced with tiny annoying signs like "Look who's popular!" etc. And as for the sites like Photobucket, look here and here. Just remember that these sites have different rules what comes to the image use. 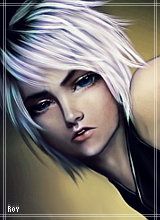 I just use IMVU's own albums if they fit in the size limitations (and most of the time they do). They're all tied to your account and won't disappear until IMVU disappears, so what's there to lose? And if your images are AP, just set the album privacy to "Only Me". You can still embed those images to AP pages, and they will work just fine. Right now I can still see your images on old product pages (hosted from photobucket). I looks like it is something to happen with new uploads but it might be good to switch them over to imvu album anyway cos you never know. Or just keep checking them every week or so in case they vanish. It doesn't seem to say clearly whether ALL free accounts will suddenly lose 3rd party hosting or just the new accounts... maybe it's just how I'm reading it. 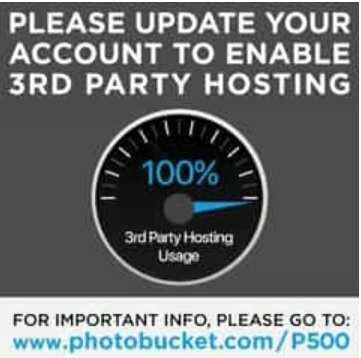 They want you to agree to let 3rd party hosting be on your Photobucket page so when someone like your self clicks on ur link they will get Hit with tons of annoying Sponsor adds that will not stop popping up. I accepted it and that's what happened they are not charging for use of their site or services unless u want to get rid of all the friggin adds they are plastering on your bucket then u pay for their pro features or what ever they are calling it.. when I realized what they were doing I stop using them as a host and started using My IMVU albums and Gaf codes. Unfortunately, I think all older images are broken as well. I know some people have had meshes with maps hosted by photobucket which are now broken. I see entire catalog product pages broken. It is a real shame. I know some devs may have to go back and fix a lot of pages now. I have a few to fix myself. so many Maps and Textures from Derivables are gone. When i understand it right People would simply have to pay the monthly fee of 10 Bucks or something and they should appear again. But not everyone is going to do that. I have seen a few discussion on this and people are saying use *IMVU*. It is my opinion, there is noway IMVU can handle all of these pictures. 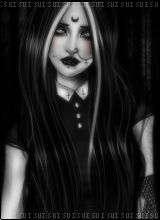 Or 30,000 images of imvu + life + whatever tickles your fancy? Putting your favourite photo of your kiddo or something else could probably be better placed on another website. 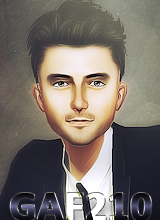 Keep IMVU related to IMVU. I got this in my email. Currently I use about .6Gb of space, pay $2.99 per month & use it for third party hosting on IMVU. However, it seems that although I can carry on using it until December next year, at that point I will have to upgrade to their Plus500 plan which will allow me 500Gb of space (which I patently don't need) and cost me $39.99 per month! It will now be their only plan which supports third party hosting. Currently looking for an alternative as there is no way my income from IMVU can support this! My apologies. For some reason I only saw Yokoed & Gaf's posts before I posted mine. Thanks for pointing me in the direction of some alternative hosting sites! This is really disappointing and extremely disruptive. Now people not only have to wade through all of the non-derivable items owned by deactivated accounts when looking for a mesh (which is over half the catalogue as it is), but now they also have to find active ones that have mesh templates that Photobucket hasn't blocked off. I've tried just clicking through to the actual link page. Doesn't work, got an error message. Deriving is just getting harder and harder. Good luck to IMVU getting people to pay for this fragmented experience- I have a grandfathered creating account and I barely use it anymore because it's such a pain just to find things to derive from. If they think creating is worth the cost of VIP in its current state, they've got another thing coming. Photobucket really screwed us up. I moved a lot of my stuff to my IMVU albums to fix broken links. This will be where I hold product page images and other stuff like that. I had multiple Photobucket accounts and used them for a variety of reasons. I won't even be able to find the pages and posts that some pictures were linked to. 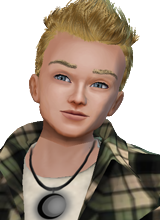 The IMVU Discussions allow you to upload pictures directly to them as embedded images or attached. No need for url links to other pages or websites. I have been submitting tutorials to the texture section lately. I'm going to try to keep an updated list of tutorials in a post pinned to the top of the Creator Textures category.